Isolated with its borders closed for decades, Burma has generated intrigue and mystery in the minds of travelers. Today, with the opening up of the country for tourists, Burma has become fashionable and an extremely attractive destination. A haven for history buffs, cultural tourists and adventurers, this country’s heritage is hidden in golden pagodas and ancient tribal treasures. 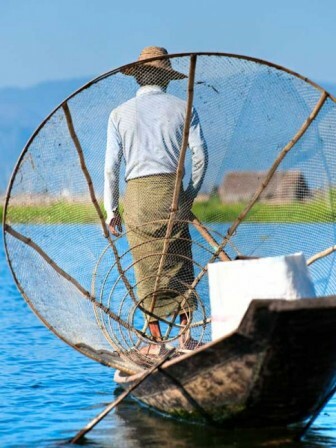 The Inle Lake, dug in the Shan plateau, has a poetic charm of endless lyricism to it. Its smooth waters are alive with floating gardens and fishing canoes. Here, you will discover villages built on stilts, inhabited by the Intha tribes. Take a boat or visit Indein Sagar, populated by hundreds of ruined stupas. 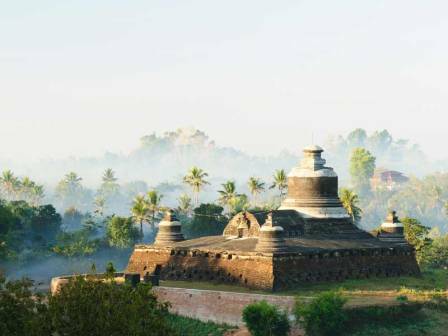 Admire the dawn tinged with the orange-colored temples of Mrauk U, lost somewhere in the Burmese jungle. Wander the narrow streets of a Khami village, one of the rarest Burmese ethnic groups before visiting the temple of Shitthaung, the ordination hall of Andawthein, the circular Ratanabon pagoda, the temple fortress Dukkhanthein and many more heritage sites. The Golden Rock appears as a gold nugget in levitation. It is a sacred enclosure for Buddhists. To reach this giant golden nugget, an unforgettable ascent in a local truck awaits you. The pious atmosphere that greets upon arrival will delight mystics but also lovers of beautiful sceneries. Rangoon (or Yangon) is a fascinating city, located between India and China, having been influenced by the two cultures and the British Empire. 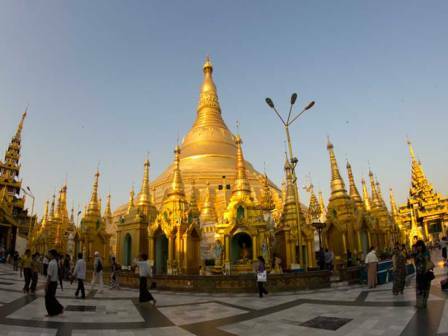 It is dominated by the Shwedagon Pagoda, a breathtaking beauty. In the twilight, the brightness its gold color looks like molten liquid, giving it a magical appearance. 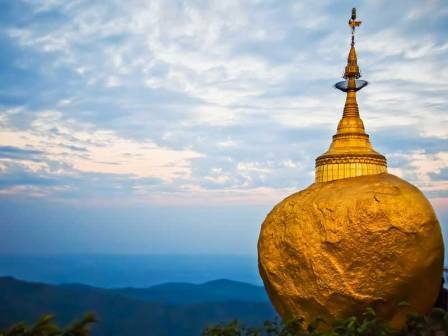 It is the religious and spiritual heart of the country, an incorruptible and unalterable jewel that every Burmese dreams of visiting during his/her lifetime. 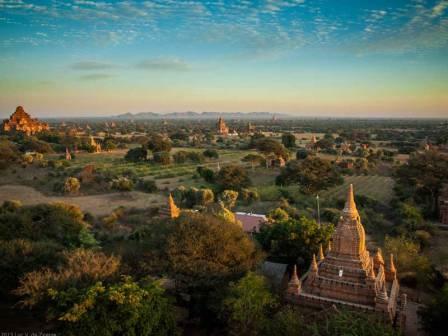 With 4,000 temples extending over a large area like the Manhattan plains, Bagan is a fabulous archaeological site bordered by the Irrawaddy River and concealing wonders. Watching the sun set over the temples of Bagan from the roof of one of its temples or from a hot air balloon is a truly unique experience.